Cabral watched through the peephole while waiting for his mentor. A child’s birthday is supposed to be a happy occasion. But for parents of children with autism, one birthday — the 22nd — is often a source of dread. That’s the day publicly funded special education programs in Massachusetts and most states come to an end, and with them, so many other things. Jobs and volunteer opportunities that were set up by the school — corralling shopping carts at a grocery store, maybe, or helping first-graders recycle — are typically over. Generally gone, too, are those social connections, the familiar teachers, and other supportive players. For young adults who’ve been living in a residential program, it’s usually time to move out. “It’s like going over a cliff,” said Cathy Johnson, a Danvers mom who went through it with her 25-year-old autistic son, Connor. “It’s been on my mind since he was 8,” said Sarah Connell, a Groton mother who’s facing it with her son, Walt, who’s nearly 21. Over the next decade, 500,000 young adults with autism will age out of publicly funded day and residential special-education programs nationwide, according to a Drexel University researcher, and a half a million families will find themselves on unfamiliar terrain once again, just as they did when the diagnosis first came. I never explained what these outings mean for my family, and it is time that I do. Turning 22 is such a significant milestone for individuals with autism and other disabilities that there’s even a state program called “Turning 22” that helps families transition into the adult service system. The challenge — and the differences in services and funding for children versus adults — was summed up by Susan Senator , a Brookline mother of a 26-year-old son with severe autism, Nat, and a nationally recognized author. 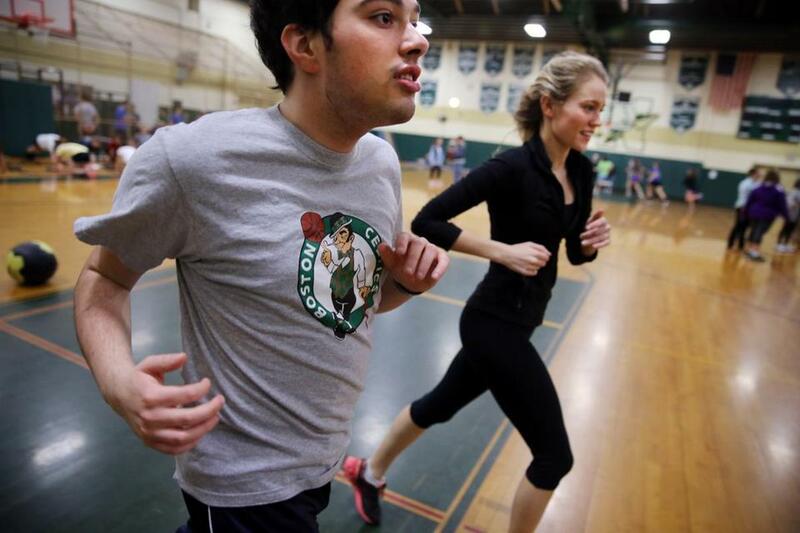 Cabral, left, ran with senior Mary Sabourin during the Unified Track program at Nashoba Regional High School in Bolton. In 1998, when state funding for the Turning 22 program began, 450 young adults in Massachusetts were set to age out of school programs and enter adult Department of Developmental Services. Just how many of those young people had an autism diagnosis is unknown; the state only began formally tracking those numbers in 2015, according to department spokeswoman Michelle Hillman. But a wide variety of other diagnoses are covered, including intellectual disabilities and some complex medical problems. This year, about 900 young adults are transitioning to adult services, 45 of whom have an autism diagnosis. The department Commissioner Elin Howe said the state recognizes the challenge families face, and in a statement e-mailed to the Globe, emphasized that the department’s Autism Commission is “charged with expanding services and supports.” To that end, one of the commission’s goals is tracking the prevalence of autism. Parents of young autistic adults can and do line up new situations for their children, of course — a group home, for example, or a job at a company that hires individuals with special needs. But figuring out which federal or state agencies might provide funding for housing or transportation or services isn’t easy. Nor is advocating for that money or finding a good housing situation and something interesting for the young adult to do during the day. “Other parents told me that when you apply for benefits [from state or federal agencies] you should take your child with you,” she said. Cabral and his mother, Sandra Cabral, worked on a puzzle at their home. By now, one fact about autism is well known: Diagnoses have risen. This month, the Centers for Disease Control released an estimate showing that in 2012, 1 in 68 children were identified with autism spectrum disorder. That’s the same as it was in the previous estimate, in 2010, and a jump from 2000, when the estimate was 1 in 150. As dramatic as those numbers are, some scientists say the rise is due in part to other factors, such as diagnosing a child with autism instead of other intellectual disabilities or disorders, for example. But less well-known is where things are going: Approximately 50,000 US children with autism will turn 18 each year. And the stress their parents face is real. A study, reported in the journal Pediatrics in 2012, found that 35 percent of young adults (ages 19-23) with autism have not had a job or received education after leaving high school. One indicator of the challenges ahead can be seen in the creation of new conferences such as “Conquering the Cliff: Autism’s Journey Into Adulthood,” which will be held Thursday in Framingham. The registration rush was so intense that all 500 slots sold out more than a month ahead of the event, which is being organized by Bridgewell, a Lynnfield nonprofit that runs day and residential programs for adults with autism and offers services to adults with other disabilities. Plans are already being made for a 2017 conference. The stakes for lining up appropriate housing and engaging daytime activities could not be higher, said Senator, the author. The prospect of a child having nowhere to go or killing time in day rehab setting doing make-work crafts “is not only depressing,” she said, “but terrifying. You might be looking at regression” of skills that were learned in school — such as self-calming, communication, and reading. All is not gloomy. With research, effort, and doggedness, families can turn the feared “cliff” into a “bridge,” she added. 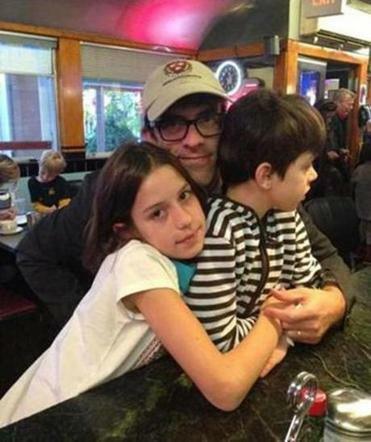 In Bolton, Herb Cabral is thinking about that cliff and his 20-year-old autistic son, Joe. In a little over a year, the school-organized opportunities Joe greatly enjoys — clearing and setting tables at an assisted living facility, sorting mail at a local company — will be over. “You’re going into no man’s land,” said Cabral, a retired executive. “What do you substitute for the school program?” he asked. “What do you substitute for the social piece? What do you substitute for living at home with mom and dad? Cabral watched out the window while waiting for his mentor to arrive.